Home buyers looking to relocate in the Lee’s Summit, Missouri area are sure to find a home that ticks all of their boxes. This remarkable city has truly impressive real estate options and easy access to all of the exciting amenities of the Kansas City Metro area. Known as one of the “Top 10 Happiest” places in the state of Missouri, Lee’s Summit is a great place to raise a family, to retire, and to live, work and play. Students in this pedestrian friendly city are served by an award winning school district and enjoy convenient access to a plethora of historical and cultural points of interest. 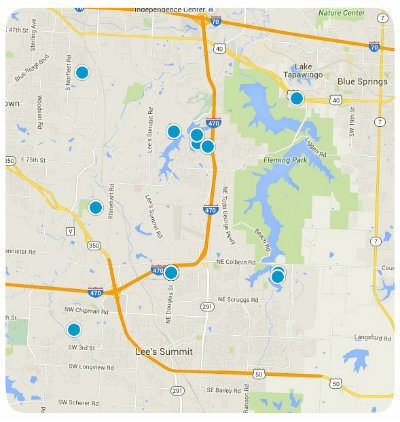 In addition to all of that, Lee’s Summit also has some remarkable real estate options in a number of diverse communities and subdivisions. One of the city’s noteworthy communities is that of Bordner Estates North. Bordner Estates North is a charming community of single family homes for sale in the 64086 zip code of Lee’s Summit. Homes for sale in Bordner Estates North vary in price depending upon the property’s age, size, architectural style, location and special features. Prospective homebuyers will be excited to discover that within Bordner Estates North you can easily find a three bedroom, 2.5 bathroom home with 1,200 square feet of living space for as little as $158,000. Other, slightly larger homes can also be found within the community for around $180,000, however the median listing price for a single family home in Bordner Estates North is $168,850, or $117 per square foot. If you would like more information regarding homes for sale in the remarkable community of Bordner Estates North in Lee’s Summit, Missouri, or if you have questions regarding other real estate options in the Lee’s Summit area, please do not hesitate to contact us today.